Central Coast Lodging - Get ready for the best lodging experience of your life. From Pismo to Big Sur the lodging has you in mind. Fantastic places to vacation or just spend a weekend. We are going to help you find the perfect place to stay. If you are looking for hotels, motels, bed & breakfast or a vacation rentals the Central Coast has it all. Some the most beautiful accommodations in the world are found in our towns and cities. If you don't make plans in advance concerning Central Coast Lodging you might have a problem finding a place to stay. Make sure you book in advance if you are planning any type trip to any town on the coast. Weekends and holidays are the busy times on the Central Coast but if you book your room or rooms in advance you will not have a problem. What we are going to do on this page is give you advice and booking options. We have some the best booking plans online. We have Kayak, Hotwire and Expedia and many more ways to book your rooms, flights, cars and anything else you might want to book. In addition, we are going to give you an opportunity to contact local hotels and motels and other places to stay. We will list the town and then give you ways to find listings for accomodations. We are going to give you the link to Cambria Chamber of Commerce. You can find Central Coast Lodging information from from the Chamber. In the future we will direct you to individual facilities for direct booking. Click on the image for information. San Luis Obispo has many fantastic places to stay. You can use Kayak, Hotwire or Expedia to book your room in advance. Click on the image for more information about San Luis Lodging. Central Coast Lodging in Wine country and it has many great places to stay. If you will click on the image it will take you to the Paso Chamber of Commerce who will provide phone numbers to lodging in that area. 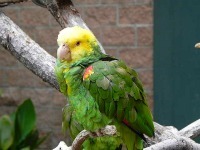 Central Coast Lodging in Pismo Beach and Shell Beach. In the five cities area there are many fantastic places to stay. Morro Bay is one of the most beautiful places to stay on the coast. It has the rock, the bay and many other attractions. It would be one of my picks for a vacation on the Central Coast of California. Central Coast Lodging is great in Morro Bay. Cayucos, the coolest little town in the USA. If you want to stay in this cool little beach town you better book early. If you want to try booking through the Chamber click on the image. I suggest you try Hotwire. 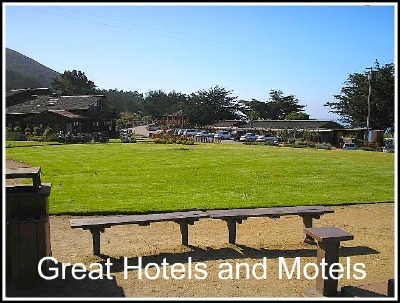 If you want to experience Big Sur, California the best way is book a room. I love the experience of this part of the Central Coast and the lodging is limited so book early. Heart Castle, San Simeon are just about one and the same. If you want to stay close to the Castle you need to book it early. Click on the image to take you to the chamber.